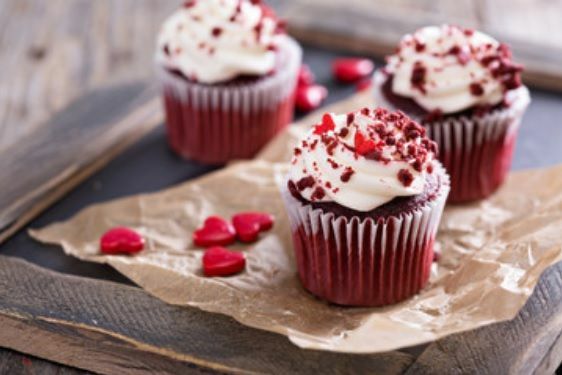 Valentine’s Day is right around the corner and we have a major crush on our newest Featured Flavor, Red Velvet Cake. From conversation hearts, to chocolate kisses, Red Velvet Cake froyo fits in with all the Valentine’s Day classic treats. With its rich and creamy taste you can pair this yogurt with a variety of your favorite toppings. Try swirling Red Velvet Cake with Chocaholic to make our Super Swirl, Lava Cake. Or top off your cup with white chocolate chips and a white chocolate drizzle for a tasty take on a Red Velvet Cookie. Howeverer you’re celebrating the holiday, we have something for everyone to indulge in. Red Velvet Cake froyo is now swirling at a Yogurtini near you!